In a world of fast food on every other corner and microwaveable meals in every store aisle, the slow cooker outdoes any other method of cooking by providing scrumptious and savory meals that require very little preparation and attention. The 150 Best Slow Cooker Recipes, Second Edition, by Judith Finlayson gives you the opportunity to make an expansive variety of recipes from Caribbean Pepper Pot Soup to Pineapple Upside-Down Spice Cake. This cookbook is unlike any other slow cooker cookbook I have ever picked up. The variety of meals and cuisines that are covered in this cookbook will inspire you to slow cook every day of the week. I reviewed The 150 Best Slow Cooker Recipes, Second Edition by Judith Finlayson, which retails for $24.95, but is currently on sale for $18.21 with FREE SHIPPING. Product Review: The 150 Best Slow Cooker Recipes, Second Edition, cookbook starts off with a few basic instructions on "Using Your Slow Cooker." The information that Judith Finlayson includes in this section is practical and invaluable. 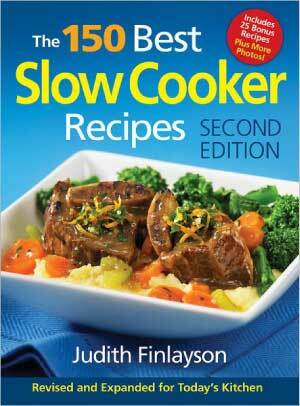 The author demonstrates that she has extensive knowledge about slow cooking. The instructions are easy to understand. Even an amateur cook can prepare a delicious meal. Each recipe is formatted the same way so that you can quickly find the information you are looking for. To the left of the recipe, there is a column that includes the number of servings, recipe categories such as "Can be Halved," "Entertainment Worthy,"and "Vegetarian," preparation tips, and instructions on making a part of the recipe ahead of time. The recipe itself includes an introduction paragraph, which gives the reader a quick overview of the recipe. The ingredients and the instructions follow next. A lot of the recipes even include illustrations! The variety of recipes that Judith Finlayson presents allows you to pick based on the ingredients or the cuisine. I love that this cookbook includes American, Italian, Indian, and many other cuisines. The practical tips and directions on preparation ahead of time are also helpful for any busy parent or spouse. My favorite tip was to brown the meat and vegetables before adding them to the slow cooker. This extra step "dramatically improves the quality of the dish" because it starts the caramelization process and "extracts the fat-soluble components of foods, which further enriches the taste." I would love to see more illustrations and more tips for substituting different types of meats (chicken versus vegetarian) and different types of cuts (chicken thighs versus chick breast). Recipe Review: I picked the Tuscan Chicken with Sage recipe to prepare. The recipe was straightforward. The ingredients and instructions were easy to read and understand. A column on the left informed me that this meal serves 6 people, provided some tips for halving the recipe, using fresh versus dried herbs, and instructions on how to make a part of this meal ahead of time. The last three hours of the 6 hour cooking time had me salivating from the delicious smell that filled my house. The Chianti wine sauce was the star ingredient in this meal. At the end of the 6 hours on Low heat, the chicken was falling apart. I served the meal with crusty French bread on the side. My husband and I devoured our portions and even had enough left for the next several days. I was pleasantly surprised by the complex and the gourmet taste of this meal. I am excited to try the other recipes in this cookbook. 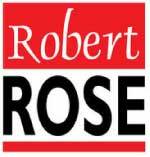 Product Description (from Robert Rose): The 150 Best Slow Cooker Recipes has updated and revised edition features nearly 100 of your original favorites, plus an additional 75 new recipes that have been carefully sourced and selected by the author from some of her previous bestsellers. It means more fish, seafood and vegetarian favorites, as well as more whole-grain offerings. And in a nod to the slow cooker’s humble beginnings, we’ve added more than a dozen sumptuous and tantalizing chili recipes, since nothing compares to chili prepared in a slow cooker. Every chapter has been revisited, updated and expanded. About the Author: Judith Finlayson is a bestselling cookbook author and journalist whose slow cooker books have sold over 750,000 copies. Fall is the perfect time to acquaint yourself with a slow cooker, or dust off the slow cooker sitting in your closer. The variety of meals you can cook slowly is limitless. Let Judith Finlayson guide you through delicious and mouth-watering recipes that your whole family will enjoy. Check out The 150 Best Slow Cooker Recipes cookbook. Disclosure: I received The 150 Best Slow Cooker Recipes, Second Edition, by Judith Finlayson from Robert Rose, Inc. in order to facilitate my review. No other compensation was received. This product review is based on my own personal experiences with this item and is completely honest and objective. I love my slow cooker and don’t know what I’d do without it. Can’t wait to check out this book!! Thanks for sharing. I use my slow cooker all the time too. Thanks for the book suggestion!